The proposal seeks new connections, wants to open views and make the water more accessible. 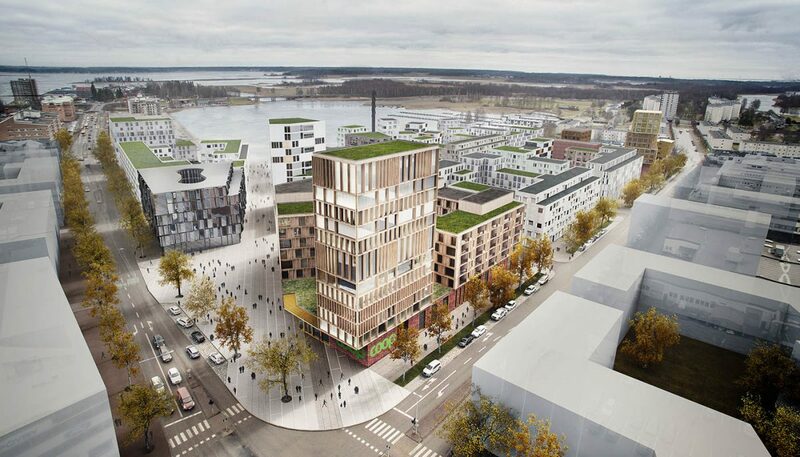 Konsum Värmland in Karlstad intend to move their business to another location. The plot is situated a 10-minute walk from the central station. In the northern part, next to a new square is a Coop store with the store’s offices integrated in an urban block. A diagonal passage connects the water to the park. 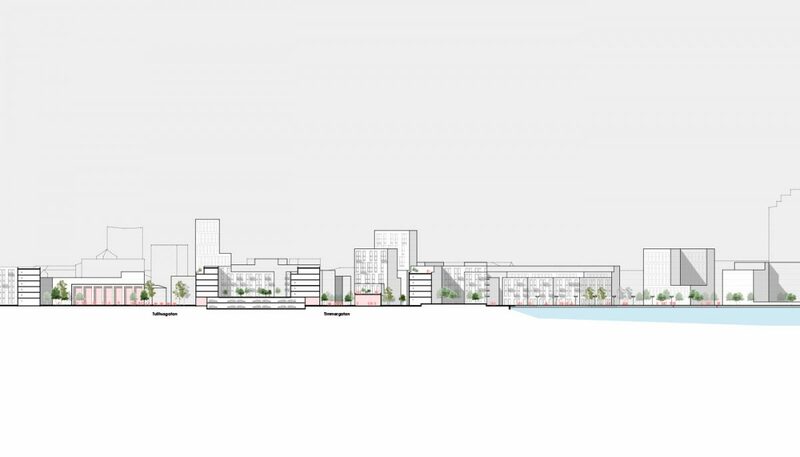 The proposal shows a structure with well-defined blocks, dissolving towards the water. 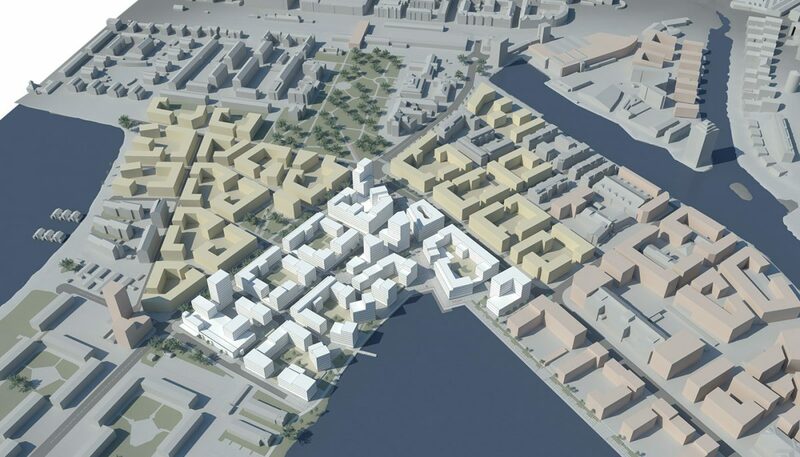 The proposal is both a city plan and a vision for the implementation of the plan – “Speicherstadt stadsbyggnadsforum”; a cooperation between the municipality, the civil society and the business sector; a group that works for continuity in a large city development and invites new knowledge and new participants. We believe that commitment and dedication to the construction of a new district needs to be clarified in the future. Speicherstadt is a working name and a city planning strategy for Tullholmssågen (we think both names are a little hard to pronounce). The real world Speicherstadt is a world heritage harbor area – in Hamburgs ragged southern edge towards the river Elbe. 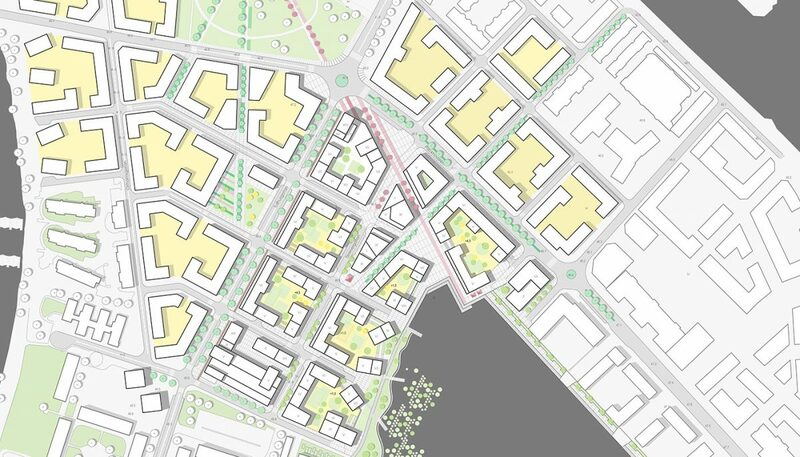 The similarities with the Karlstad delta are many but the scale is different. In our work with large scale city planning projects in Scandinavia and Europe, Hafen City has often been a reference, an inspiration and a place to visit. We think that the comparison and the processes there can be of great benefit in the work with Karlstad’s southern parts. Project type: Invited competition. 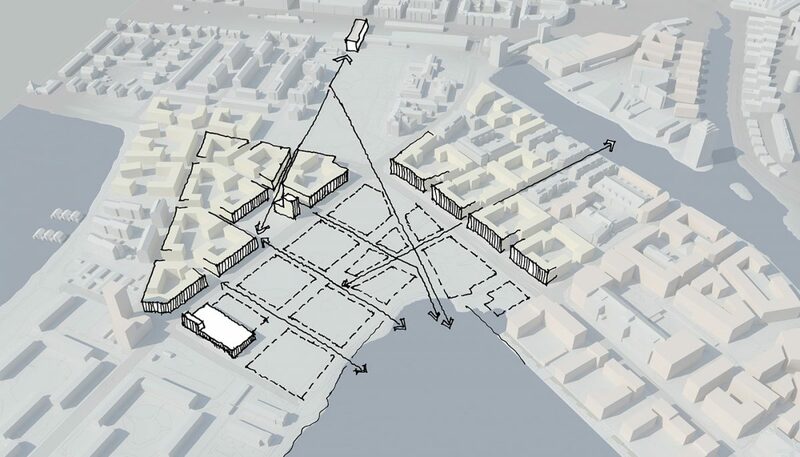 Masterplan for transformation of industrial area. A district that, by all available means, tries to make approaches and connections to current and future neighbors. 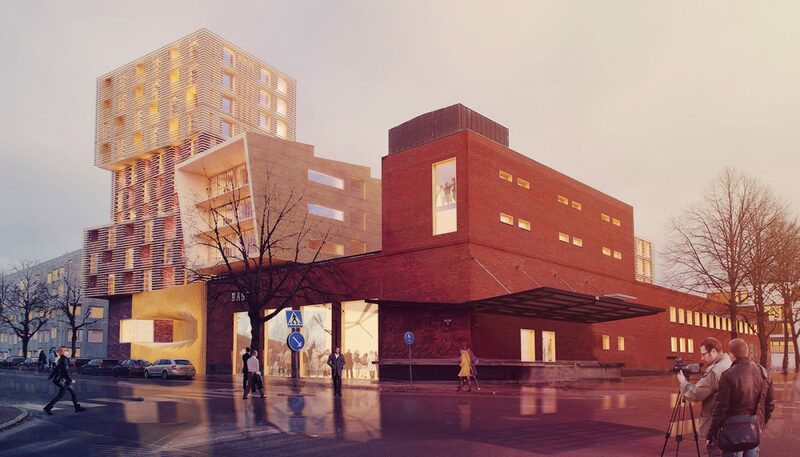 The traces of Karlstad’s city structure are used to sensitively bond the districts. The proposal also wants to help its neighbors, do like them and do more. We lay the foundation of a simple but expressive city structure, rich with impressions and expressions. Density for city life – a dense district increases the chances of meetings in the day to day life and gives better a better basis for commercial and public service. Cultural sustainability exists in the spaces where everything converges; nature, man, and activity. Meaning and understanding is created through culture.